But the study is the first to show that sustained diet changes -- even later in life -- might extend people's lives, the researchers said. 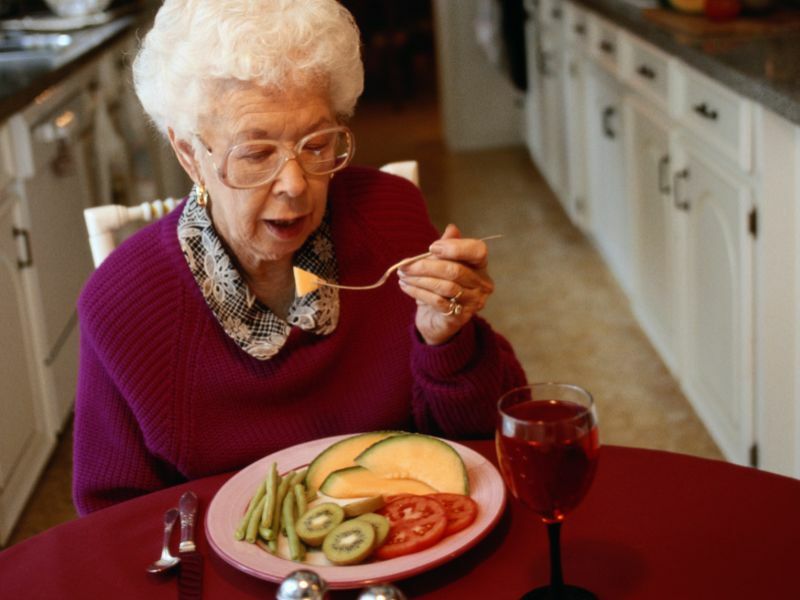 "A main take-home message is that it's never too late to improve diet quality," said lead researcher Mercedes Sotos-Prieto, a visiting scientist at the Harvard School of Public Health, in Boston. "Most participants in our study were 60 years or older," she noted. Between 1998 and 2010, almost 10,000 of those study participants died. Sotos-Prieto and her team looked at how people's risk of early death related to any diet changes they'd made in the previous 12 years (1986 to 1998). It turned out that people who had changed for the better -- adding more fruits and vegetables and whole grains, for example -- had a lower risk of premature death than those whose diets stayed the same. In contrast, people who let their eating habits slide faced a higher risk of dying during the study period -- 6 percent to 12 percent higher -- compared to stable eaters, the findings showed. The scoring systems differ somewhat, but all give more points to foods such as vegetables, fruit, whole grains, fish, low-fat dairy and sources of "good" fats, such as olive oil and nuts. Processed foods, sweets, red meat and butter, meanwhile, get lower ratings. "Our results underscore the concept that modest improvements in diet quality over time could meaningfully influence mortality risk," Sotos-Prieto said. "This study reinforces what we've been saying for a long time," she said. Ideally, healthy eating is a lifelong habit. But you're never "too old" to make changes for the better, Lichtenstein noted. "The key is to make changes that you can stick with for the rest of your life," she stressed. There are no magic-bullet foods or nutrients, Lichtenstein added. Instead, the new study "validates" the concept that it's overall diet that matters, she explained. "Shifting one meal from meat and potatoes to sauteed veggies, quinoa and a topping of grilled chicken or lean flank steak would be one way to move to a healthier eating pattern," said Diekman, head of university nutrition at Washington University in St. Louis. The good news, according to Lichtenstein, is that it is getting easier to eat healthfully. She said Americans generally have more access to a variety of whole grains and fruits and vegetables -- fresh or frozen, which can be more economical.